The sun went in, the fire went out: landscapes in film, performance and text, is an exhibition located in the landscapes of practice: the incorporeal zones of activity configured and made real by the artist. Materials are traced across shifting chronologies, where the artists have reconfigured and re-framed past works, dislodging historical interpretation. Exploring these ideas of land, site, duration and re-presentation, the exhibition comprises works by three artists – Annabel Nicolson, Carlyle Reedy and Marie Yates – who were vital in the development of key movements within the avant-garde in London from the 1960/70s. Through film, performance and text this exhibition privileges ephemeral practices, displaying art works that are iterative, morphic and responsive, re-framing the strategies of documentation and its use within exhibition making. The exhibition will include a selection from Marie Yates’ series, The Field Working Papers (1971-73), a conceptual gallery project made for The Midland Group Gallery in 1973 that features extensive documentation in image and text of the landscapes of the West Country, as well as environmental sculptural forms and improvisation sound performances; work by Annabel Nicolson including documentation of performances in the landscape and other material from her artist’s book Escaping Notice (1977), and archival material from exhibitions such as Concerning Ourselves (1981) and Of the Cloth (1988). A new performance installation by Carlyle Reedy will integrate and rework material and documentation from earlier performances including Living Human Sculpture in Contemplative Time (performed at the Royal Court, 1972) and A Good Wind (Riverside Studios, 1977). An accompanying film programme curated by Lucy Reynolds, a publication and an online resource will compliment the gallery display with archive and collection materials as well as interviews with the artists and contributions from other practitioners. Annabel Nicolson (1946) is an artist film-maker and performer. From 1969-70 she ran the gallery at the New Arts Lab, London and was cinema programmer at the London Film Maker's Coop in 1974, 1976-77 and 1992/3. She was a founder member of Circles - Women's Film in Distribution (Circles merged with Cinema of Women in 1991 to become Cinenova); editorial contributor for Musics magazine (1976-79); and co-editor and publisher of Readings magazine (1977). Her film works and performances have been seen at museums and galleries including Acme Gallery, Hayward Gallery and the London Musicians Collective, London, Stedelijk Museum, Amsterdam, Walker Art Gallery, Liverpool; and in film retrospectives and festivals internationally. Her solo exhibitions include Norwich School of Art Gallery (1981) and Chelsea College of Art Gallery (1988). Recent group shows include Film in Space, Camden Arts Centre (2013) and Filmaktion, Tate Modern (2012). Her work is in the collection of the Belgian National Film Archive, British Film Institute, Canterbury University, Women Artists' Slide Library, her artist’s book Escaping Notice is the collection of Victoria and Albert Museum. She has taught at various art colleges including devising the Women in Art Course at Chelsea College of Arts (1987-88). Carlyle Reedy (1938) is a poet, performance artist and collagist-painter. Working mainly in the UK since the 1960s, her early performances and readings took place at venues such as The New Arts Lab, Middle Earth, Gallery House, London Musicians Collective and Acme (all London). Her works in performance and video were included in About Time: Video, Performance and Installation by 21 Women Artists at the ICA (1980) and We’ll Make Up a Title When We Meet (LA/London Lab) at Franklin Furnace, New York (1981). Recent solo exhibitions and performances include Icons of a Process, Flat Time House (2014) and The Black Huts Festival, Hastings (2015). She has exhibited at Peter Biddulph Gallery and England & Co. (London) and her work is in the Arts Council Collection. 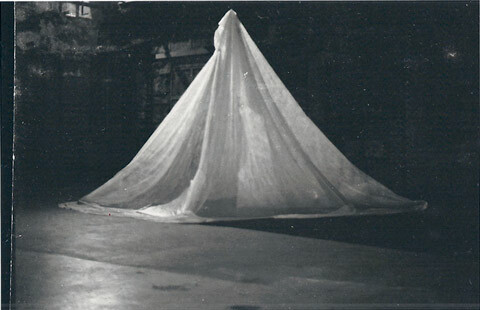 She was included in the survey exhibition Out of Actions: Between Performance and the Object, 1949-1979 at MOCA, Los Angeles (1998). Reedy has devised productions for the Royal Court Theatre and Riverside Studios and has led two avant-garde performance groups: Monkey Enterprises (1974-77) and O Production (1981-2). She has taught at Maidstone and Slade schools and was a member of the Artist Placement Group. Her poetry has been included in numerous anthologies and solo collections. Marie Yates (1940) is known first as a painter, then an environmental sculptor and landscape artist, and later for her conceptual projects addressing issues of representation, signification and sexual difference, in the form of installation, images and text. Her work has been shown widely in the past, in the UK and abroad, including solo exhibitions at the Midland Group Gallery, Nottingham, and Arnolfini, Bristol. She contributed to exhibiting, organising and speaking at conferences and feminist and women’s group events across the UK in the 1980s. Significant group shows include ISSUE: social strategies by women artists, curated by Lucy Lippard, ICA (1980); INNO 70- Artists Placement Group, Hayward Gallery (1971), and Difference: on representation and sexuality, at the New Museum, New York that toured to the University of Chicago and the ICA (1984-85). Her installation works have appeared in many public sites in Britain and abroad, as well as in the collections of the Arts Council of England, the British Council and in private collections. Teaching and lecturing at various art academies from 1971, she retired in 1991 from her role as Principal Lecturer in Media at the University of the Arts, London. In 1991 she left England, interrupting her former art practice for a time, she now lives and works in Greece.